Callender Howorth offers comprehensive architectural design services and luxury interiors for residential and commercial properties. 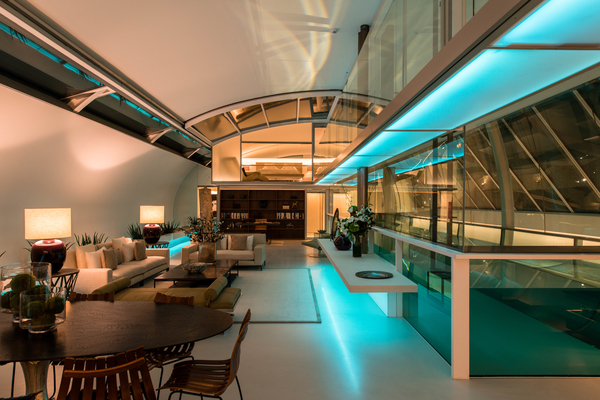 Specialising in renovations and redesigns, we have a proven record of excellence in bespoke interior design solutions in the most prestigious areas of London. Our innovative team of Westminster interior designers is ready to work with you to create your dream property in the heart of London. 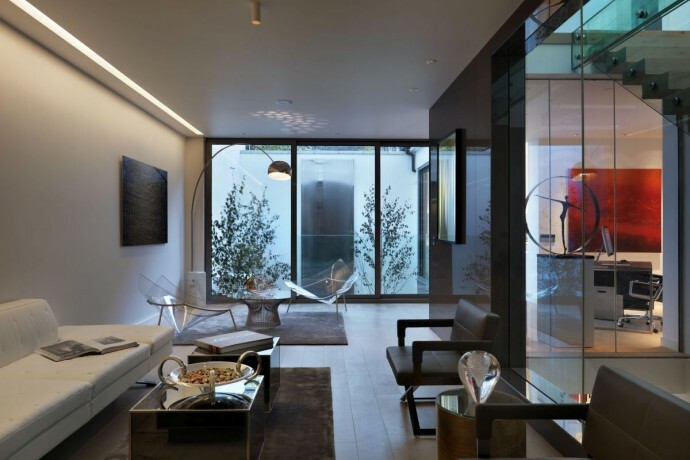 Callender Howorth recently undertook a project in a mews house in Mayfair. A quaint building that is hidden behind Marylebone High Street, the structure is Victorian by appearance but now channels the most contemporary of interior design on the inside. Our team of expert designers set about providing a space in which the owner of the property could entertain guests and throw parties. The internal courtyard provided a great opportunity to open the space up. We fitted the kitchen with the latest gadgets and flooded it with as much light as possible. We are really pleased with the finished product, and so is the client. Westminster is world-famous as the centre of British politics, so it is only natural that some of London’s most iconic buildings are located within its borough. Take your pick: Big Ben, the Houses of Parliament, Westminster Abbey and Buckingham Palace are just a few of the historic landmarks that connect the city to the British government and monarchy. The Houses of Parliament (Westminster Palace) and Big Ben are arguably the most recognised landmarks in London and have a long and chequered history. Architect Charles Barry is responsible for the buildings on display today, having designed them in the Gothic Revival style. Famous 19th-century Westminster interior designer Augustus W. N. Pugin provided designs for the decorations and furnishings of Westminster Palace. The much older Westminster Abbey (built in 960) is located next to parliament and its gothic design blends in harmoniously with its surroundings. Known as the preferred venue for royal weddings and burials, the abbey still plays an important role in Britain’s capital city. Buckingham Palace is the most famous palace in the UK and is the main residence of British monarchs, having evolved in design from the early 18th century to the early twentieth century. Is Westminster close to museums and exhibitions? Westminster Abbey Museum is located in the 11th-century vaults beneath the former monks’ dormitory in Westminster Abbey. This is one of the oldest areas of the abbey and exhibits include a collection of royal and other funeral effigies including those of Edward III, Henry VII and his queen, Elizabeth of York, Charles II, William III, Mary II and Queen Anne. On nearby Trafalgar Square, you’ll find the famous National Gallery, where you can admire paintings by famous artists such as Vincent van Gogh, Monet and Picasso. Next door, the National Portrait Gallery displays portraits of important people from British culture such as politicians and monarchs from past and present, along with businessmen, actors, musicians, models and writers. Both buildings are beautiful spaces of distinctive Westminster interior design. On the southern side of Westminster, you’ll find Tate Britain, which holds the largest collection of British art in the world including a large collection of Turner’s paintings. Westminster is a uniquely historical neighbourhood and very British, and it’s numerous landmarks, pubs and shops mean that living in the vicinity is never dull. It’s also a particularly leafy neighbourhood with wide streets and green spaces for jogging or relaxing with a book. There is also a range of dining and drinking options, such as Roux, the elegant fine-dining restaurant located within the Grade II-listed Georgian home of the Royal Institution of Chartered Surveyors. Michel Roux Jr’s restaurant serves contemporary European dishes in a grand period setting that perfectly captures the vision of innovative Westminster interior designers. St Stephen’s Tavern on Bridge Street is the pub of choice for delicious fish & chips, and its location next to Big Ben makes it very popular among politicians. Lunch-only Brasserie One holds pride of place within the palatial Edwardian mansion conference facilities of the Institute of Civil Engineers. For all-day dining and entertaining in the heart of Westminster try the Blue Boar and marvel at their roasted and chargrilled set within stylish rooms filled with contemporary art. Other good dining options include Italian restaurant Quirinale, which is popular with civil servants and the Caxton Grill, which offers first class service and first class food. Why would you want to live in Westminster? Which famous residents live there? Westminster is highly renowned centre of education and has a serious academic feel to it, which is reflected in the choice of schools. There are a number of unique schools associated with venerated institutions in the city such as Westminster School, Westminster College and Westminster Abbey Choir School. Westminster School own 13 acres of private playing fields and it has the highest Oxford and Cambridge acceptance rates of any secondary school or college in the world. Boys are admitted at the age of seven, but girls are only accepted at the age of sixteen. With a history of educating boys since 1179, Alumni include several notable public figures including Tony Benn, Jeremy Bentham, Sir Christopher Wren and John Locke. Westminster interior designers frequently collaborate on the houses of present day residents, such as politicians like David Cameron. Please contact Callender Howorth to discuss all aspects of your interior design project.